2NDS. 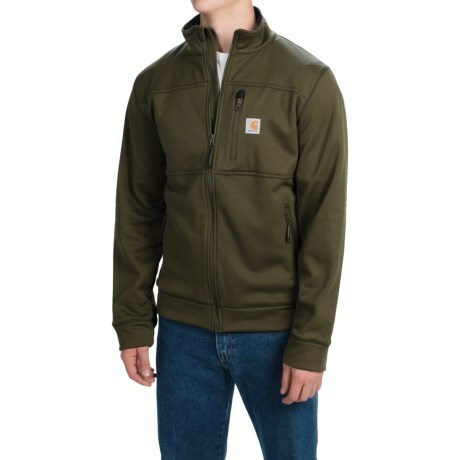 Made for chilly weather and great for layering, Carharttand#39;s Workman jacket is crafted of warm, quick-drying Polartecand#174; fleece with a soft, brushed interior and rugged exterior. Available Colors: BLACK, MOSS. Sizes: S, M, L, XL, 2XL.